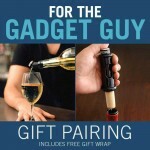 For the Gadget Guy Gift Pairing (p/n 16663) with free gift wrap. The Corkcicle ONE chiller and aerator brings instant balance to your wine. Inserted into a wine bottle, the forged stainless steel icicle is filled with thermal gel to keep wine chilled at the perfect temperature. 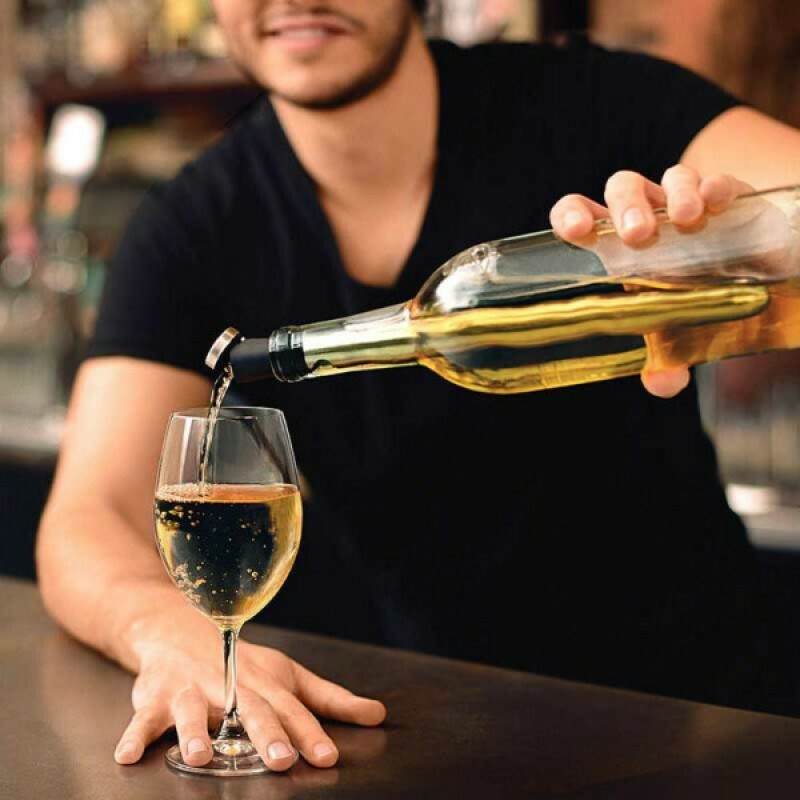 When you're ready to serve, simply flip the top and pour the wine through the aerating spout. Why use a separate chiller, aerator, and wine spout, when the sleek Corkcicle One can do it all? Includes an elegant glass storage case, perfect for freezing and gift packaging. Using a cartridge of inert propellant, Cork Pops pushes out the cork—imple and easy! 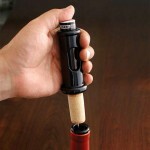 Simply insert the needle through the cork and press the top of the opener to gently push the cork up and out. Comes complete with one propellant cartridge good for 80 to 100 bottles. Gift boxed. Open, chill, aerate, and pour with this one-of-a-kind wine gadget gift set. Gift set includes Corkcicle ONE, Cork Pops and free gift wrapping! While supplies last.